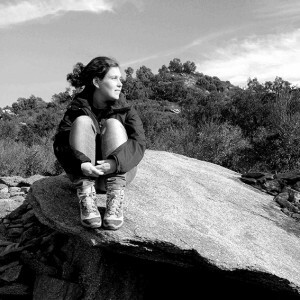 I am Marta, architect and interior designer, enthusiastic about graphic design and photography. Cheerful and emotional, I am very curious and I like discovering new worlds, new cultures and new ways of doing things. I love the place where I was born and grown, its people and its wind, the tramuntana, that shakes everything up. 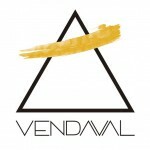 After a time working in different places and areas, I decided to create Vendaval Studio in a time of change. They say the air, one of the four classical elements, is associated with inspiration, feelings and emotions. 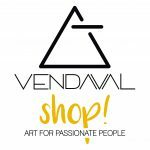 Its symbol is a triangle pointing upwards with a horizontal line that crosses it; representing thought, imagination and creativity. The wind sets the environment around me and its meaning characterizes me. Vendaval Studio was born from this union, a studio of cheerful and dynamic design, surrounding itself with curious and enthusiastic people; in love with challenges, to break the routine, get excited and not leaving you indifferent … a design studio for passionate people. SPACES: Architecture and interior design projects, giving importance to the aesthetic and functional aspects. You will find harmony from the main lines of the project to the smallest details. GRAPHIC: Details to remember the things that are happening throughout your life. You will feel all the effort and dedication behind these small works to make all your moments more special and uniques. EPHEMERAL: Sceneries and fleeting worlds to get lost in your imagination and in the ones of the people who experience them. No matter if it lasts a second or an eternity, but the great passion you’ll feel in all of them. I materialize curiosities, thoughts, memories and life events through paper. I look for ways to enhance the positive side of the experiences, finding the optimistic side of everything that happens to us. My goal is for you to have the opportunity to live more intensely, without fears and enjoying the little things that hold on to your life. Here you can discover the things that make us feel alive: the trail of a city, the trace of a creator, the memory of a scene … You will find graphic and sensitive creations seeking expression without excess. If you love traveling and discovering new places, adventure, nature and the outdoors, watching a good movie or listening to that song that moves you… If you admire the little things and the people around you… this is your space. Explore every corner and get carried away by this gust of fresh air.